To meet the rapidly increasing demand and varying requirements of customers, Pan Asia Bank has augmented its housing loan product ‘Nivasa’ with a host of value-added features. The bank is all set to fulfil housing loan requirements of a much larger audience with novel features that extend greater flexibility to customers in terms of getting the loan amount they need. 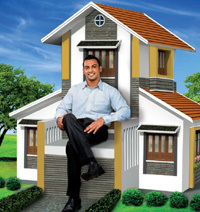 Pan Asia Bank’s ‘Nivasa’ housing loan can be obtained for multiple purposes including purchase of a bare land, construction of a house, purchase of a house/apartment, completion of a partially built house, renovating an existing house or paying off an existing home loan obtained from another bank.